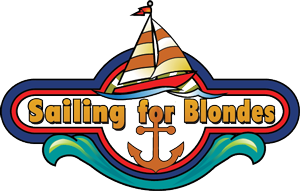 Thank you for visiting Sailing for Blondes Website. At Sailing for Blondes, one of our main priorities is the privacy of our visitors. We understand the importance of privacy on the internet, and on our use of users’ personal information that is collected at our website. We will disclose your collected information with your permission such as to fulfill a third party order or to comply with laws that require disclosure. You accept that you are able to receive information, etc. on products that may be of interest to you, including third party offers. Your information could be used to contact you about potentially suitable joint venture opportunities. By submitting your email address on this site, you agree to receive email from us and our affiliates. You can opt-out by using the unsubscribe option that is in the email. We only send solicited emails from us, directly or via authorization through a third party. We do not send unsolicited commercial emails. Submitting your email allows us to use your email address on sites like Facebook, etc. If you supply your telephone number, we reserve the right to contact you by phone in accordance with the Amended Telemarketing Sales Rule (ATSR), 16 CFR 310 et seq. and any other federal and state regulations or to speak with you concerning your orders. Unfortunately, information transmitted over the internet cannot be guaranteed to be 100% secure. We take reasonable measures to protect your information, but cannot warrant that it is totally safe and you submit your information at your own risk. You can choose to disable cookies through your individual browser options. To know more detailed information about cookie management with specific web browsers, consult your technology consultant. Sailing for Blondes does not knowingly collect any Personal Identifiable Information from children under the age of 18. If you think that your child provided this kind of information on our Website, we strongly encourage you to contact us immediately and we will make reasonable efforts to promptly remove such information from our records.